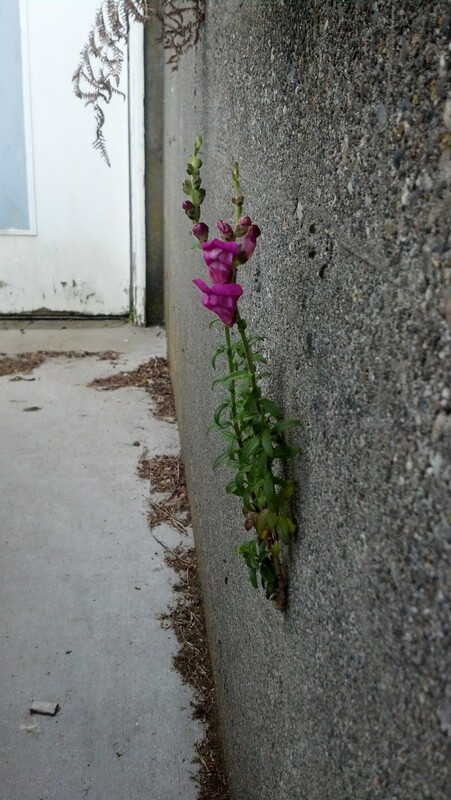 A snap dragon impossibly growing out of my parents’ driveway wall. So, I’ve had and have a lot of future travel in my current sphere of things. Sadly this has eaten up all of my pre-written blog material and now when something comes up I don’t have anything stashed to cover for it. I have a lot of material planned, but not executed. 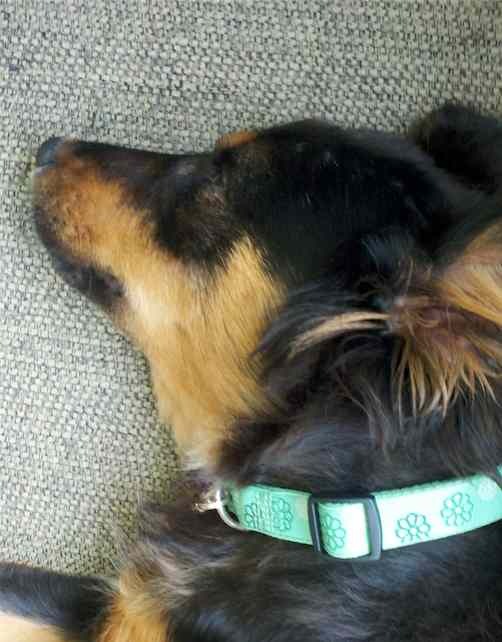 So what I’m going to do is put the blog on hiatus for a few weeks. I will return on or before Monday July 7th. This will give me some time to write up a bunch of things, take pictures and oh, I don’t know… maybe edit some of my entries prior to publication. I just feel if I scramble to get stuff out there with as crazy as I know things will be in the next few weeks I won’t be doing myself or anyone else any favors. If you’re in the Seattle Area, I will be at Wayward Coffeehouse on June 20th from 8-10pm doing a reading from my story FAMILY TIDES from Broken Eye Books BY FAERIE LIGHT (Volume 2 if you buy it on Kindle or in the print edition of both volumes). Come see me and Shanna Germain, Erik Scott de Bie, Lillian Cohen-Moore, Nathan Crowder, and Jennifer Brozek LIVE IN PERSON!!! Hope to see you there! If not, I’ll see you in July. Thanks to all of you, I’ve made it to the Flash Fiction Finals! My last flash fiction story is up at Jaym Gate’s Blog. Be sure to check out the audio version too. I had a lot of fun doing this and I’ll let you know when the charity anthology of all the stories goes up for sale. I’m at World Horror in Portland Oregon this week and I’ve got panels! Hope to see you there! The short horror story delivers a great deal of payoff to author and reader alike, and is one of the best ways to deliver horror. Authors in the field discuss the most efficient means of administration, animation and continued locomotion. How do we as writers carve out a big enough chunk from our ‘other lives’ to sit down, clear our minds, and practice our craft? Considering I haven’t been writing here, I thought I’d mention some of the writing stuff that’s recently come out or been posted elsewhere. The most recent of which is Beast Within 3: Oceans Unleashed an anthology of aquatic were-animal stories. My story “Beneath Feathers and Fur” is about a were-penguin in a bad position and her were-otter rescuer who has problems of his own. I wrote an article “There Are No Starship Captains” for Booklife Now about writing characters with experiences unlike your own. 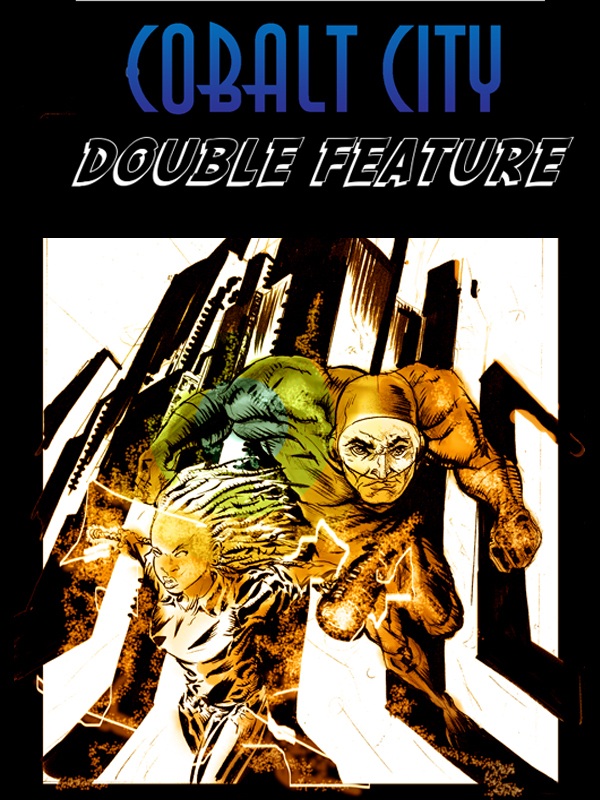 Speaking of Cobalt City: Double Feature, it came out on Nook as well as Kindle. In addition to the interview, I also talked about the editing process at Jennifer Brozek’s blog and about writing tricksters at Alma Alexander’s. Timid Pirate Publishing has an Interview with Me, an article about Writing A God, and editor Caroline Dombrowski talking about how my story made her laugh so hard she got kicked out of a coffee shop. And partially to make up for how I haven’t been writing here and partially as a winter holiday present I’ve put my story Death in a Lifetime up for you to read free. Hope you have a wonderful holiday season and get to spend time with the people you love. Just a quick listing of places I’ll be in the next month or so. Hope to see many of you in the near future! I keep forgetting to post new things here as well as on Twitter. If you missed it, in honor of Valentine’s Day, Timid Pirate posted a podcast of my story Apples and Arrows from the anthology Cobalt City: Dark Carnival.